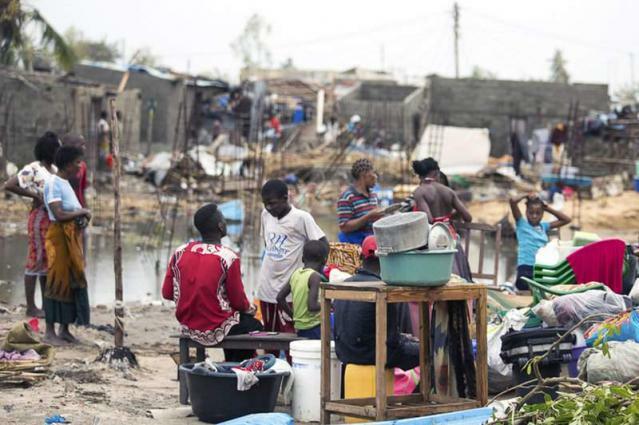 UNITED NATIONS (UrduPoint News / Sputnik - 16th April, 2019) Humanitarian aid has reached at least a million flood-affected people in Mozambique since Cyclone Idai ravaged the country last month, the World Food Programme (WFP) said in a press release on Tuesday. "One month on since Cyclone Idai struck Mozambique on March 14, the United Nations World Food Programme has reached one million people with food assistance and continues to expand its emergency response while launching recovery and reconstruction interventions," the release said. The program aims to reach a total of 1.7 million people in urgent need of food and nutrition assistance in the devastated provinces of Sofala, Manica, Tete and Zembezia, the release added. To fully implement its response plan through June, the WFP still requires $130 million funding. More than 1,000 people were reportedly killed and over 2,500 injured by Cyclone Idai, which first made landfall in Mozambique, bringing torrential rains and ghastly winds, and then headed west to ravage neighboring Zimbabwe and Malawi. In addition, more than 1,000 people have contracted cholera in the affected regions of Mozambique in the aftermath of the disaster, with a number of deaths reported in relation to the outbreak.